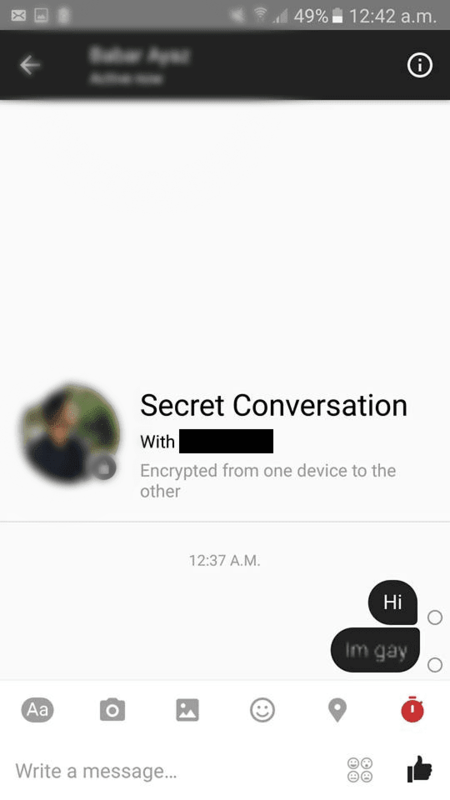 After introducing encryption on Whatsapp which acts as an extra layer of security to protect conversations from hackers, Facebook rolled out a similar update few months back in July for it’s Facebook Messenger app which allows both users to ” secretly ” chat with each other, which is now finally available to almost all users around the world. You’re probably wondering what is a ” Secret conversation ” in terms of Facebook? ​They’re messages that are encrypted end to end, which means only you and the person you’re chatting with can see them on your device, no one else. Not even Facebook (that’s what they say). But just like everything else, this feature is not ” perfect ” as in, your messages won’t be fully protected, the person you’re texting can screenshot your messages before they disappear without you knowing or if they get hand of your device they’d be able to view the secret conversation. ​Apart from Encryption, you can also make your messages disappear (self destruct) after a specific period of time. ​Maximum: 1 day (24 hours). ​Note: Only available on Facebook Messenger App for Android and iOS for now and Facebook messenger must be updated. ​1. Open conversation of person you want to have secret conversation with. 2. ​Tap the button on the top right corner next to the video call button. 3. 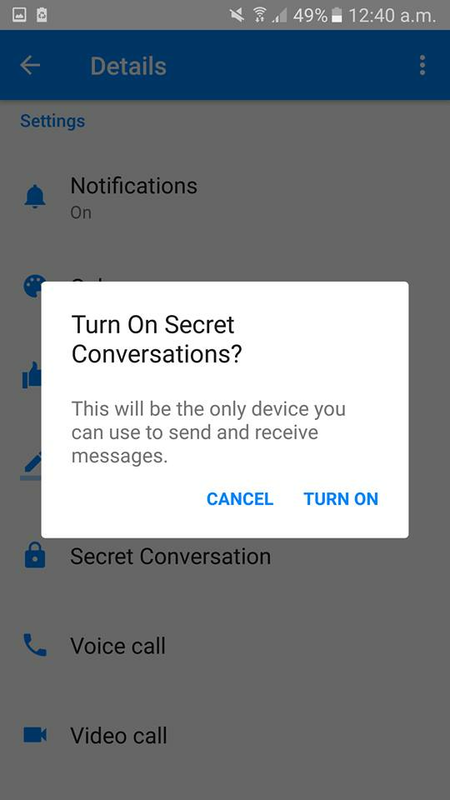 ​Press ” Secret Conversation ” and then press Turn on to start chatting. If you want the messages to disappear, you can set a timer for your messages by pressing the ” clock ” icon on the bottom of the chat.